Dr. Stefan Adair, MD, FACS was raised in Princeton, New Jersey, after which he spent years of academic training in the United States and England (Oxford University). He specializes in facial rejuvenation, with specific interest in facelift, browlift and rhinoplasty. 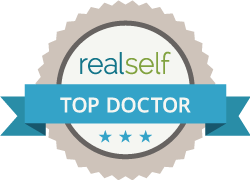 Dr. Adair has trained with renowned facial aesthetic surgeons, Dr. Bruce Connell and Dr. Andrew Ordon of The Doctors. After completing a prestigious fellowship with Dr. Connell in aesthetic plastic surgery, Dr. Adair became part of Connell’s elite training group, Connell Society Network, allowing him extensive continuing education. Dr. Adair spent several years in Beverly Hills, California where he maintained a boutique cosmetic plastic surgery practice, and later relocated to Georgia to be closer to his children. Having specialty training in cosmetic surgery, Dr. Adair offers the most refined techniques for achieving a natural appearance with minimal to no stigmata of surgery. Dr. Adair received his B.A. from Johns Hopkins University and his M.D. from Tulane University. He subsequently completed a general surgery residency at Santa Barbara, where he was Chief Resident. Thereafter, he completed a plastic surgery residency at University of California, Irvine, again as Chief Resident. He was chosen for a prestigious fellowship in aesthetic plastic surgery of the face with world-renowned surgeon Dr. Bruce Connell. 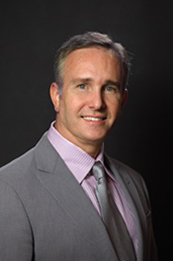 Dr. Stefan Adair is board certified by the American Board of Plastic Surgery, a Fellow of the American College of Surgeons, a member of American Society for Aesthetic Plastic Surgery and the International Society for Aesthetic Plastic Surgery. Dr. Adair has been in private practice since 2000. Recently he served as Director of Plastic and Reconstructive Surgery for a Level 1 Academic Medical Center in Georgia, where he performed many charitable surgeries for those requiring complex, facial reconstructions. He simultaneously maintained a cosmetic plastic surgery practice in Buckhead, Atlanta. His preferred area of specialty is cosmetic rhinoplasty, although he performs a full spectrum of face and body cosmetic procedures.